All dates are for 6 guests maximum. 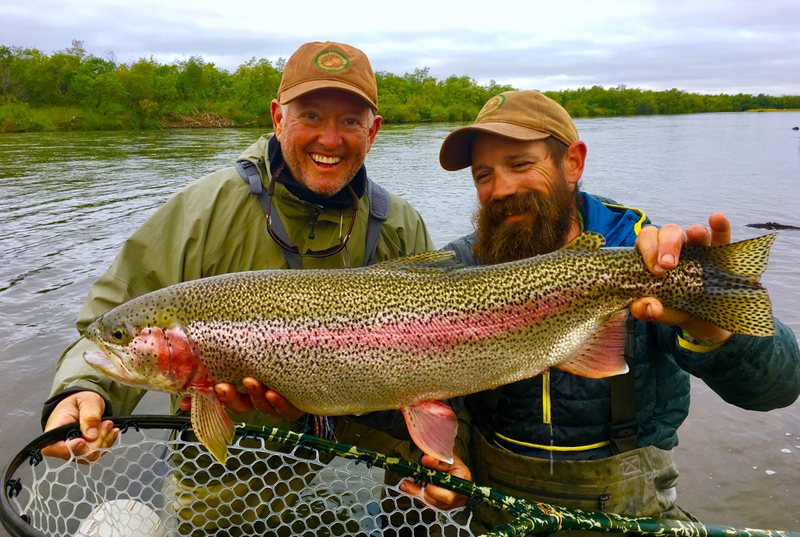 Our permit only allows 6 people per trip, and the start date listed is the day guests fly to the put in and begin their trip for 7 days and six nights. Beyond Boundaries provides the bush flights to the put in as well as the flights back to Bethel from the take out. 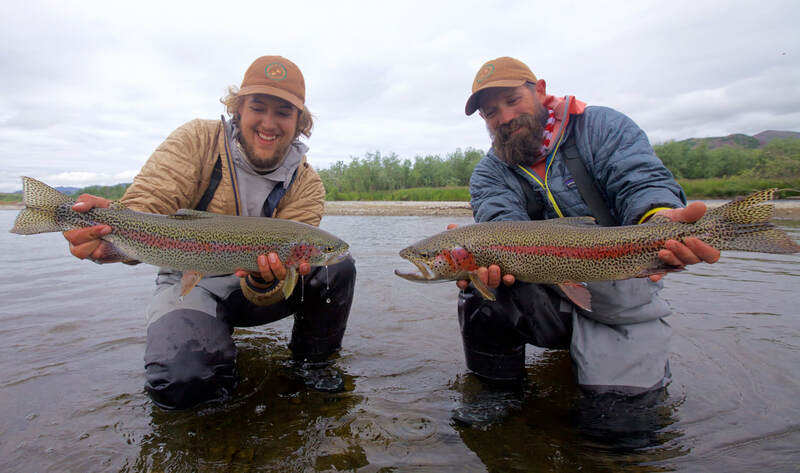 The trip cost covers these flights and the guided fishing, but does not provide commercial flights to and from Bethel, AK. 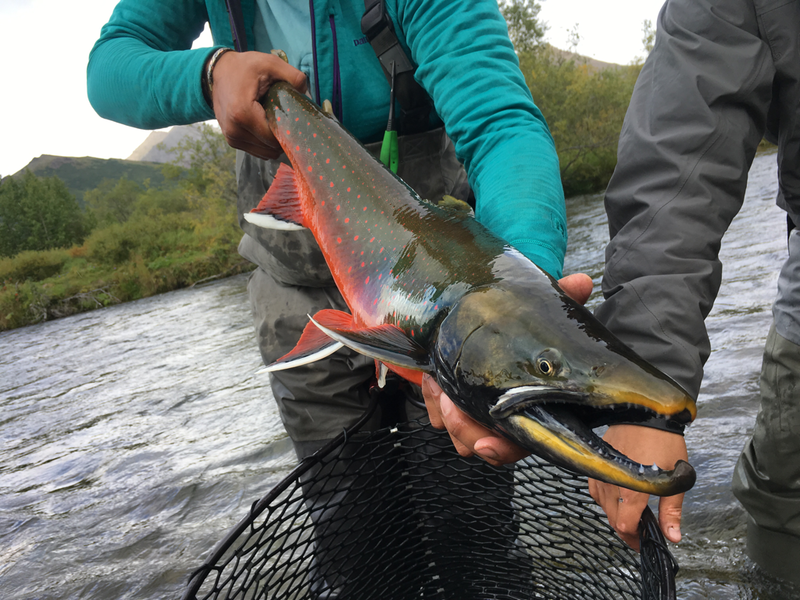 Guests are required to have a valid Alaska sport fishing license, and gratuity for the guides is typically at 10-15% of total trip cost. 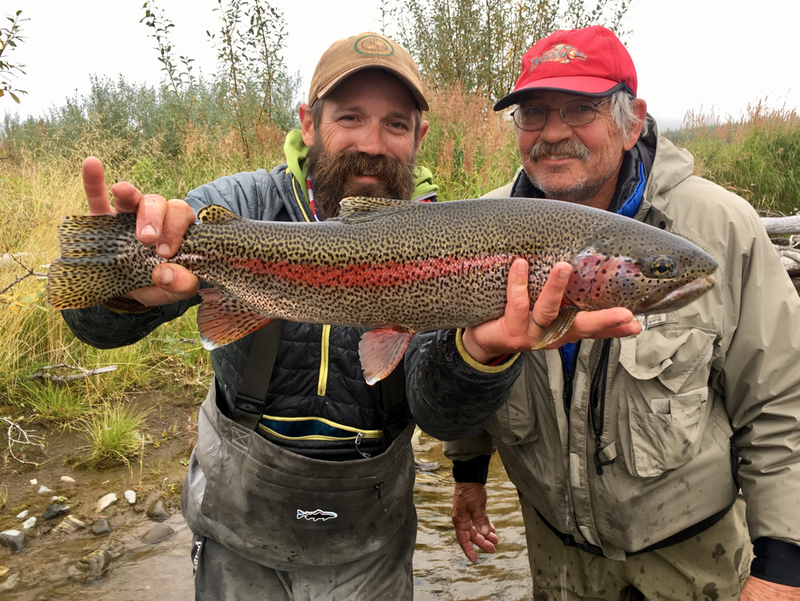 ​Things that the trip cost does not include; the commercial flights to and from Alaska, the fishing license, gratuity, the first night stay in Bethel (our float plane service provides a bed at a pro-rated cost) gratuity for the bush pilot, any food costs while travelling. Please check out the blog for guest reviews, and more insight! If you have leaky waders buy new ones. Felt bottom boots are not allowed in the state of Alaska. Studs on the bottom of your boots are absolutely positively not allowed since we operate in rubber rafts. We will physically remove your studs if you bring boots that have them. All rain gear needs to have at least one layer of gore-Tex or similar technology with a hood. If doubtful of quality buy rubber rain gear, yes like commercial fishermen wear. A quality sleeping bag purchased in the last couple decades that is rated at 30 degrees or warmer. A camping pillow is nice as well. The guides wear buffs (stretchy neckerchiefs) almost full time, it is recommended to purchase a few. Try to wear as much synthetic materials as possible. This includes your underwear. You could be wearing $1000 worth of synthetic top of the line gear but if you're wearing cotton underwear and socks it will be soaked. If your hands typically get cold bring gloves, work gloves are highly recommended. Rubber boots are very nice to have in camp, just a camp pair of footwear to change out of your waders is recommended. If you don't want to purchase a bunch of new fly rods don't do it. We have lots of fishing gear and proper communication before the trip can ensure proper gear allotment. Polarized sunglasses, and a back up pair. If you want to bring flies, please bring more flies. We can never have enough flies on a wilderness trip. There is no store or Internet site out there to buy them. We have a box of flies from Hills Discount Flies that we recommend purchasing per angler. It's well worth the money. Warm wool/capilene/fleece is always welcome. Synthetic down coats are very useful as well. Socks don't take up much room and a fresh pair is always refreshing in the wilderness. Please just ask if you don't want to buy something. We have a lot of terminal tackle on hand!! We do provide adult beverages, however they are the same quantity every trip and it is beer and wine. If you enjoy cocktails you need to bring plastic containers filled with your beverage of choice. There is a liquor store in Bethel but you may not have time. Also it is 10x more expensive!! Wading boots with studs, as mentioned above we will not allow them in the boats. Period. Any tippet that has an X next to it, no 0x is not acceptable. Neither is 1x or Any x get it? Lots of t shirts. They will live in your bag soaking up moisture and making everything heavy. Jeans, once again the whole living in the bag thing. Hemostats. You need pliers - little trout fishing hemostats will not debarb heavy hooks or pull them out of 5+ pound fish. We have pliers handy on every boat. No need to bring cups or bowls, we provide personal use coffee cups, etc. Firearms are not allowed. The guides are all armed and camp is safer that way.